While we’re still in the first portion of 2019, the time is perfect to take a second look at our resolutions list and see if there are better, more effective ways to face our fears and accomplish new goals. 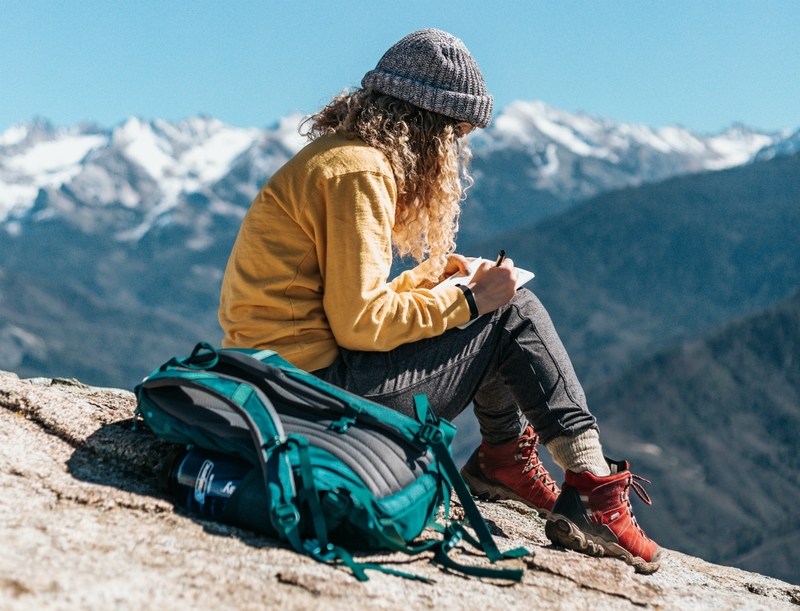 If you’ve already been overwhelmed by the tempo of life, with too much work on your hands and your private life no less complicated, then journaling just might be the best possible solution to help you conquer new heights. If you’ve never given journaling a fair chance, try not to roll your eyes at the idea just yet – it might help you make the best year you’ve ever had. However, the act of writing alone is not enough to get you where you want to be. It takes dedication, discipline, and a few strategic tips to use your daily journal in order to make the most of this habit. Among many different ways you can approach writing, the following are the most promising in terms of accomplishments. Would you ever ditch your appointment with your hairdresser, or a coffee date with your besties? Of course not! Journaling should be treated with the same level of commitment, even when you still cannot really pinpoint the benefits in your life that keep you from abandoning it completely after a single entry in your notebook. To avoid that, take ten minutes every day at a very specific time to write. Ten minutes is just enough for the beginning not to disturb the normal flow of your day and it’s still ample time to serve its purpose. Even if you start by writing nothing more than pure gibberish, your goals will take form over time, and as you begin applying other methods we’re about to cover. You need a strategic approach for your goals to start emerging! To avoid getting overwhelmed by the sheer number of different goals you want to achieve, you can start by giving each month of 2019 a theme. For example, January is known as thyroid awareness month, so you can tweak your diet and visit your doctor to make sure your hormones are in balance. You can give them your own purpose, so February can be your month of mental health, and you can explore various ways to reduce stress through meditation, aromatherapy, and the like. We’re now well into March, and you can take your time this month to visit your gynecologist. In case you wish to grow your family, you can learn how to prepare for pregnancy with the finest tips from your doctor, and devote this month to your reproductive wellbeing. That also extends to your diet and exercise regime, so that you can adapt your life to this new, family-oriented goal of yours. With clear goals ahead, you’re most likely going to find that famous question pop into your head: now what? Goals alone, not even written in a notebook, aren’t enough to get you moving. If you make an effort to divide them into smaller, more manageable tasks for each day ahead, you can start seeing a clear path towards achieving what you set your mind to. You can play with different formats, such as dividing your goals into daily bullet points, or setting a checklist for each week with different tasks. You can use different colors to cross out the ones you’ve accomplished and move the leftover ones to a new week or month. As long as you have a clear view of everything that needs to be done to reach the finish line, you’re good to go! Many people give up on journaling because it turns into all those rants we have in our own heads, when we’re not being supportive but stick to self-criticism in its harshest form. Don’t use your notebook as a way to scold yourself – use it to motivate yourself and find the many reasons you surely have that will keep nudging you in the right direction even when it’s not going smoothly with your goals. Got fired? Take a moment to celebrate your sense of humor or write down a set of qualities that you truly like about yourself. Feeling blue for no particular reason? Do the very same, be your own cheerleader. Start each journaling day by listing three things you’re grateful for, and you’ll let your day start with good vibes. Our minds are sneaky little beasts. They tend to find shortcuts and hidden alleyways into some of our temptations, and before you know it, some of your goals get lost in the mail. After some time, go back to your first days of journaling, and take a moment to compare and contrast. How far have you come with your most major goals such as losing weight, changing your diet, or finding a new optometrist? By going through the details in your notebook, you can spot discrepancies, issues, and all those little setbacks that prevented you from achieving what you wanted. This time, make sure to find a different route to the same goal, and you’ll have a better chance of success! There’s no magic spell to get you to your ultimate goals. No matter what road you opt for, you always need to invest creativity, effort, and energy into accomplishing them. Journaling can be one of those useful tools to help simplify that journey and you can use these tips to make the most of that one exceptionally handy habit! Olivia is psychologist and entrepreneur from Brisbane. Mother of two beautiful children and proud owner of two silly boxer dogs. She is passionate writer, a traveler and conscious consumer, seeking healthy and sustainable products to incorporate into the lives of her family. Her motto is “Be the change you want to see in the world”.